If you say L.I.C.E. out loud, watch how people start averting their eyes, walking slowly away while starting to scratch at their own scalp. You understand that with one word you have become a social pariah, an outcast, an untouchable. I know. I have said it out loud, and I have walked away slowly with judgement in my eyes. But, now I am going to publicly reform and own my lice. Here’s why. Lice stories are gross. They are uncomfortable. They are unbearably hard on the house that has them. The nicest, sweetest, cleanest people still get them. You can’t fight lice unless you know to look out for it. You have to admit to your own bugs to avoid getting it again from a friend you may have given it to. Also, misery loves company. The first time a nurse called to tell me someone had lice, my house was tossed. I took at least six giant black garbage bags to the local laundry place and sat for hours as I shrunk everything we owned by washing it on super hot and drying it on hot hot hot. Stuffed animals, padded lunch boxes, binders all were bagged and thrown away. Nightly, I vacuumed and rewashed everyone’s bedding. Daily, I checked heads. Each time I though we were in the clear I would find one nit, clinging behind an ear, or hidden beneath a few more strands. One night we did Nix. One night we did mayo. One night we did olive oil. Repeat, repeat, repeat. We blew dry hair, the hair straightener was constantly on, the volume of hairspray brought back the 80’s. The car was vacuumed, slipcovers cloroxed and then bags of pillows in the garage. Did I mention the daily comb? That was the highlight. The family holding their breaths, some crying – mostly me crying. Once the nits were gone, did the madness end? No. 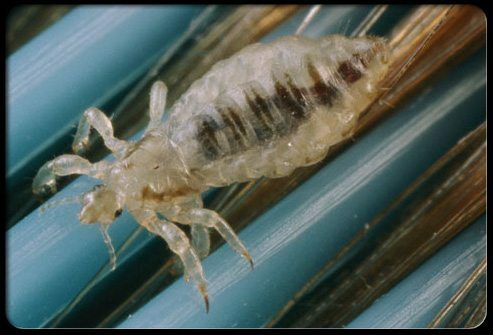 Someone told me recently that lice is one part bugs and two parts paranoia. Well, I was 1000 parts paranoia and no part bugs. Therefore, when someone else said they had lice, I backed away slowly, thinking maybe I will reconnect with you in a few years…our kids can connect on Facebook in 2020. I did not want to go back into the madness. Gleefully, we left elementary school behind, younger kids were no longer daily playmates. I didn’t have to worry about reading time on shared beanbags. Well, I guess I needed a lesson in humility (really, I don’t…I already know I am fabulous and my life is perfect) because yesterday I got an email, check your kids…lice has been detected. This is high school! This time, I choose sanity. 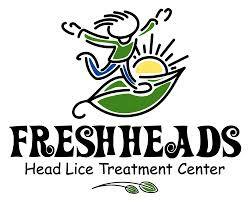 I choose to take the family to Fresh Heads, a pleasant environment where in exchange for money they will check your head for lice and remove all traces…100% guaranteed! Money does buy happiness. With a bit less cash but a lower blood pressure, I washed all the sheets, towels, and so on. I put backpacks, pillows and so on in the dryer for 30 minutes, new brushes were bought, old brushes were put in the freezer, I stealthy removed all old hair ties, I vacuumed the house and and and…. Here’s the point to all my oversharing, not everyone I know has had lice. But everyone knows someone who has. So be kind, and enjoy the perch while you can.